Custom Sheet Metal Inc. provides Boulder, Colorado with the best in custom sheet metal, metal fabrication, break metal, custom flashings, custom metal panels, custom gutters, and custom metal colors. We are a family owned business focusing on providing outstanding customer service and satisfaction with our roofing products. We have built our business on our outstanding reputation and referrals from our customers. We fabricate custom flashing for Metal roofs, shingle roofs, and tile roofs and Flat roofs. 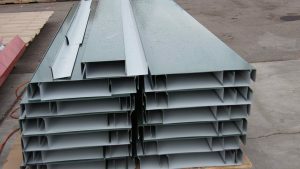 Some of our products include: Rake Wall, Head wall, Drip Edge , Rake edge , W valley, Channel , Ridge , Eave Risor , Z Metal, Face plates, Fascia, Scuppers, Cleat, collector heads, Coping cap, Chimney Caps , Shrouds, Chop and Drops. We pride ourselves as experienced and professional in metal fabrication. We are capable of meeting the needs of our customers in the construction, processing, and equipment building industries.